George W. “Bill” Brook, passed away Friday, April 5, 2019 at the age of 88. He was born March 30, 1931 to George and Mary (Porter) Brook in South Bend, Indiana. Later he moved to Remington, Indiana and lived with his grandparents. George was a graduate of Remington High School. 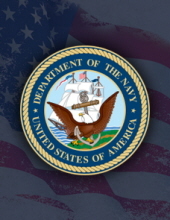 Serving in the U.S. Navy at sea and foreign service from 1948-1952. After leaving the Navy, he farmed for twelve years until he was appointed Post Master at Remington where he served for thirty-three years. He liked spending time with family and friends, fishing and working with veterans. In 1951, he married the love of his life, Carol S. (Hall) Brook who survives. Also surviving are two sons, George (Suzanne) and Tom; one daughter, Deanna (Bob); seven grandchildren, George (Jennifer), Judd, Jannelle (Mike), Micheal (Denise), Brant (Angela), Danny (Ashley), and Tammy; ten great-grandchildren, Chloe, Lance, Payton, Emily, Kyle, Leah, George, Logan, Will, and Troy. He was preceded in death by his parents; one sister, Rose Marie Snow; step-father, Ralph Price; son, Michael; daughter, Amy Sloan; and grandson, Sammy. A family graveside service will take place at Sacred Heart Catholic Cemetery in Remington, Indiana with Military Honors. A celebration of life is to follow from 11 a.m.- 2 p.m., Saturday, May 18, 2019 at the American Legion Post 280 in Remington. To send flowers or a remembrance gift to the family of George W. Brook, please visit our Tribute Store. "Email Address" would like to share the life celebration of George W. Brook. Click on the "link" to go to share a favorite memory or leave a condolence message for the family.